In South Pasadena, you can still enjoy an old-fashioned soda fountain. Lying between the metropolis of Los Angeles and the far larger city of Pasadena, the small City of South Pasadena stands out for its outstanding public schools, its historical commercial core, and its small-town atmosphere. 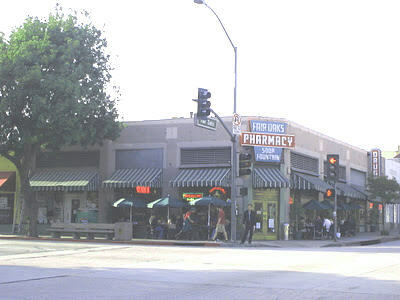 South Pasadena became the sixth municipality in Los Angeles County when it was incorporated in 1888 – with 500 residents and 3 ½ square miles of land. Growth soon followed. The Raymond Hotel, the Cawston Ostrich Farm, and completion of the Pacific Electric Short Line in 1902 all helped to attract both tourists and new residents. Before long, it became one of the first suburbs of Los Angeles. While the Short Line is no longer running, today's residents have the Metro Gold Line to connect them with Los Angeles and other nearby cities. South Pasadena population now stands at nearly 26,000. 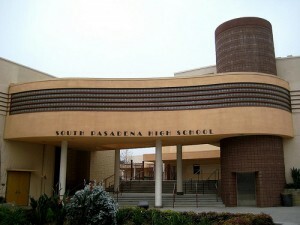 The South Pasadena Unified School District consists of three elementary schools (Monterey Hills, Marengo and arroyo Vista), South Pasadena Middle School, and South Pasadena High School. The excellence of these schools is a major draw for families seeking the best possible education for their children. The business district is populated by "Mom and Pop" merchants – with quaint shops and restaurants serving a wide variety of cuisine that's not to be found in "chain" restaurants. When you visit the commercial core, the well-preserved historical commercial buildings and the hometown friendliness of merchants just might make you believe you've stepped back in time. 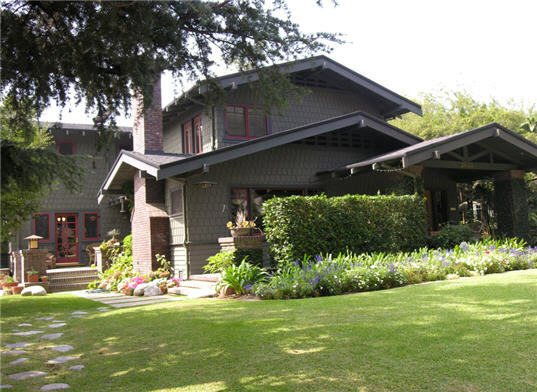 A South Pasadena Craftsman Home Is it the historical architecture? In addition to the historical commercial buildings, the tree-lined streets in its residential neighborhoods are populated with California Craftsman-style homes, Spanish Colonial revivals from the late 1920's, and California "ranch homes." (Of course, it does offer a variety of choices for those who prefer more modern architecture.) Is it the parks? While almost 62% of are residential, nearly 6% of the land is dedicated to parks and open spaces. 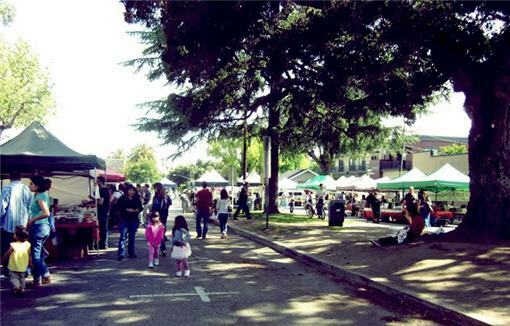 Meet your neighbors, buy fresh local produce, and enjoy the music at South Pasadena's Farmer's Market Is it the South Pasadena Farmer's Market? Every Thursday from 4 to 8 p.m. residents and visitors gather at the Mission-West District to stock up on fresh locally-grown produce – then linger to enjoy meals cooked on the spot while local musicians provide live entertainment. Perhaps it's just the people. South Pasadenans are known for their friendly attitude. Possibly because of its architecture and vegetation can double for locations in the Midwest and Northeast, it is a popular location for filming both motion pictures and television. It has been involved in movies such as The Terminator, Gone with the Wind, Halloween, Back to the Future, Bruce Almighty, and too many more to list. Does South Pasadena sound "just right" for you? Then get in touch. I'd be pleased to help you find the home that's also "just right."